Orchestra newcomers (millennials and gen-xers) share their opinions. Spoiler alert: the music is not the problem. 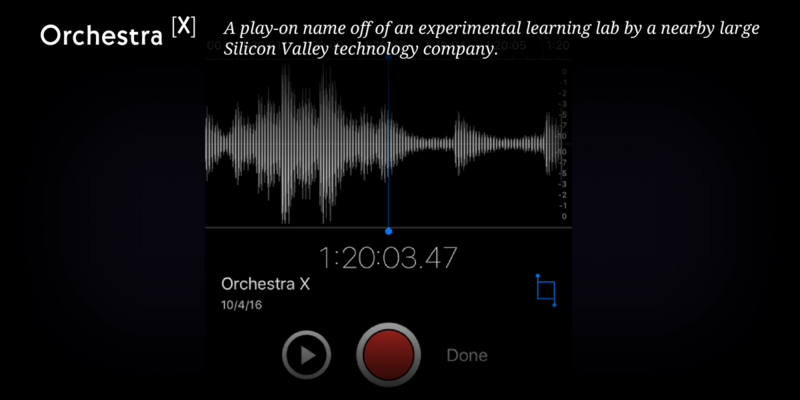 The Orchestra X discussion about newcomers’ experiences at the California Symphony lasted 1 hour 20 minutes. They had a lot to say. Back in August, we rolled out a new program called Orchestra X with the idea that arts organizations must change the way we think about new audiences, and specifically, must change our willingness to have hard conversations about the things newcomers hate, are turned off by, or are just uninformed about. We decided if we at the California Symphony are serious about cultivating new audiences, we better stop talking about how much we care about this elusive group like so many organizations do and actually take an interest in what this group has to say. So we put out the call for people who should go to orchestra concerts — millennials and gen-xers that are smart, have expendable income for entertainment options, and are generally culturally aware — but for whatever reason don’t attend. The set up was simple: come to a few California Symphony concerts and then tell us about it, and we promise to 1) listen only and not jump to defense (an exercise that proved tremendously difficult), and 2) share our findings with the rest of the world. This is that post about sharing our findings with the rest of the world. Get ready, arts administrators. First, it’s worth pointing out that we held the discussion group at a local craft brewery and served pizza and beer. No wine. No hors d’oeuvres. No pretense. After dinner, we jumped into a facilitated discussion. Some of what we heard was expected and some was not. Sometimes the group agreed on certain elements of the experience, and sometimes they did not — proof that all millennials are not alike, and we should stop lumping them all together every time we talk about them. That’s lesson number one, and below is rest of the feedback we heard, organized by general topic. Smart people want information. 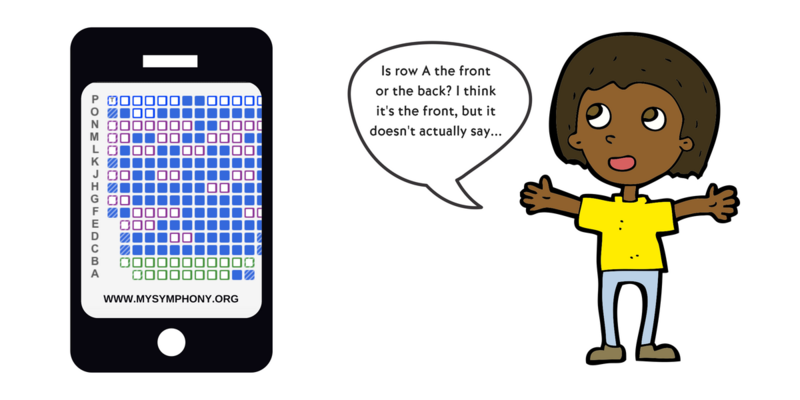 Some smart people are willing to take extra steps to find it, such as in the case of one Orchestra X participant who manually looked up every piece on the program on Wikipedia before selecting the concert he wanted to attend, but most people aren’t willing to make the extra effort all on their own. This is not lazy when you consider that they’ve already taken the steps to 1) decide that coming to hear an orchestra is something they might enjoy versus other entertainment options (a huge marketing victory — yay brand awareness!) 2) come to our website (a huge marketing victory — go-go gadget remarketing campaigns! ), and 3) browse around to find the concert(s) they are moderately interested in attending (a huge marketing victory — a navigable website!). Then, they get to step 4): make a decision on why they want to attend a specific concert, and our response is essentially “WHY CAN’T YOU FIGURE OUT WHY RACHMANINOFF’S SECOND SYMPHONY IS A BIG DEAL? LOOK IT UP IF YOU WANT TO KNOW!” (marketing failboat — why do we set up our sites this way, and then wonder why the sales funnel is getting choked up at the add-to-cart step?). Through the discussion, it became clear to us that we buried way too much information in paragraph or sentence form. “Some information was in the paragraph language,” said a participant, “but when you don’t go to these things regularly, that made it harder to know what makes going to this concert special.” We’ve since updated all our concert landing pages (examples here and here) to have bullet point content, use less technical language or jargon (or explain those terms when we do use them), and in a time where, as one participant put it, “You’re competing with 140 characters on Twitter about Trump and Hillary,” we made these bullet points much more casual. For the arts administrators reading this thinking that swinging the copywriting pendulum too far could alienate your core concertgoers, consider that your most traditional attendees — your subscribers — aren’t the ones looking at single ticket pages. These pages are (or at least should be) specifically designed for single ticket buyers, who generally know less about the art form, hence why they’re less connected to the organization in the first place. Plus, we can be informative to smart, curious people who want to learn and want to know very much why each concert is special without dumbing it down. Casual and approachable does not equal dumb. We also decided to link every piece to its Wikipedia article (opening in a new window so people aren’t navigated away from our site). There are several more ideas that emerged that we’d still like to implement, and we’ve included the full list at the end of this post. In general, this group is doing is what every ticket buyer always does: trying to weigh how much they want to spend versus how much value they receive in return. They were incredibly thoughtful about where was the right place to sit, and they admitted to what they called “being spoiled because of the seating apps for sports and concerts” that let you see where your friends are sitting and the view from every seat. Some arts organizations have fairly robust select-a-seat features, but for us, this was one of those areas where we had to just listen instead of jump in with the limitations of our venue managing this part of the sales path. Nonetheless, when LiveNation is the competitor for a lot of high-end events where the ticket prices are on par with ours, the standard is an easy login-with-Facebook feature where you can see which of your friends have already purchased and where they’re sitting, easy see-the-view from any seat in the venue, and easy checkout process that’s finished in 30 seconds. Oh, and then an easy email confirmation that adds the event to your calendar on desktop, phone, iCal, Outlook, or Gmail. Be honest: arts organizations of all sizes generally make it a lot more difficult than that to purchase a ticket. This is a tough one for us. We have tried working with our venue to move ticketing in-house so we can fully control the purchase path, and we have come to a compromise that we fully manage the process for season subscribers during the renewal period. While this is a big step critical to serving our most loyal patrons, it’s not serving single ticket buyers — which now amount to more ticket revenue per year than subscribers in the latest nationwide data — so we have some work to do. Our venue’s website does have views from the various seating sections, albeit apparently not obvious at all as not one person in the discussion group realized this feature did exist, so we’ve identified this as a feature we can better promote. Additionally, we have made our website match the sales domain as much as possible, and we’ve sent the venue images to use in the sales path that match the style guide of the rest of the images on our own site. We have also added basic pricing info (a comment that came up multiple times: they had to get pretty deep in the purchase path before really knowing what a seat cost), and we took that as an opportunity to talk about dynamic pricing and why you can get a better deal when you don’t wait until the last minute to buy. Again, more ideas on what we’d like to do are at the end of the post. The conundrum of what to wear brought about more drama and stress than we ever imagined. We never knew that attendees were that worried about how to dress for the symphony, especially in cool and casual California. And while we could laugh it off, we shouldn’t, because for multiple people, this really was an issue causing stress and concern, two negative emotions related to the experience we’re trying sell before the experience ever began. 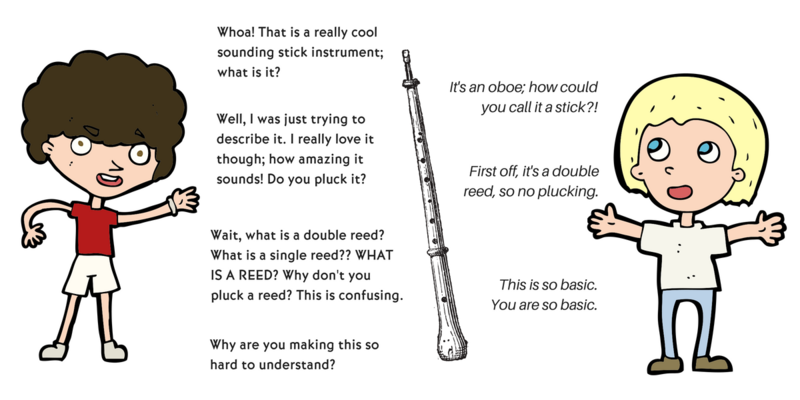 Additionally, we wrongly expected people to have a basic understanding of all the instruments in the orchestra, or at least what they’re named. Why, we realized, as arts administrators, do we preach that the decline in music education in this country over the last several decades is one cause of the decline in attendance, and at the same time, do nothing to help grown adults — the products of this lack of education — know “basic” information such as the names of the instruments. It’s not basic if it wasn’t ever taught in the first place. One participant asked if there is “a separate webpage for younger people we could make?” What was so interesting about that comment is that this person assumed that they were in the minority as far as understanding answers to these types of questions. The assumption was that other, older people are much more familiar with the symphony when in reality, there is no magical age at which one suddenly becomes an aficionado. Yes, there are people who know a lot about the symphony, and many of that kind of person are already subscribers, so when we’re thinking about our single ticket sales (this conversation, this type of page on the website), maybe nobody (or very few) really have any sort of foundational understanding of the symphony concert experience? It’s our job to fix that. We made a Newcomer’s Guide on our website. Plenty of other arts organizations have first timer pages, so there’s nothing revolutionary here, except that every question on it came from this group. That helped us write answers that are less stale and more honest; we felt like we were talking to a real person on the other end, and we were. We also reexamined our pre-concert emails (i.e. Your Upcoming Concert This Weekend). This is another area of working in partnership with our venue that needs more attention on our part. Currently, our venue sends final courtesy reminders to ticket buyers, but those reminders, we learned, don’t even include the California Symphony by name (!!! ), or include other FAQs such as how to pre-order drinks or how you can listen to the music in advance on Spotify. Funny enough, we used to send our own in-house version of the performance reminder email but then stopped last season thinking it wasn’t a helpful service to attendees. We learned that couldn’t be farther from the truth when all these questions came up in the group discussion. Needless to say, our in-house performance reminder customer service emails are back in play now. The sentiment of complete awe was echoed by almost every person at the table. We were reminded that symphony orchestras do something that almost no other entertainment option can hold a candle to: be an immersive engine, this incredibly passionate (to use their word) force of sound and emotion, and this music — whether written hundreds of years ago or newly written — is hypnotic yet energizing, and untouchably beautiful when performed at the highest levels as our musicians so often deliver. The programming itself is not the problem. Diversity is a problem though. So much so that it was the topic at last summer’s League of American Orchestras annual conference. It’s a problem in our audiences and on stage. The comments on this for us were validation. Not that we really needed it, but it hit home that all of us in this industry talk about how white we are, and yes, a first time attendee at our orchestra picked up on that right away, and yes, it did impact that person’s experience. Other elements of the concert were a mixed bag. Program notes in particular had varying opinions (and a lot of discussion) from this group. While they all wanted more information in advance, some did not want to read the program book to find information once they were there, preferring to simply enjoy the experience and “take it all in.” Others did want to voraciously consume the information in the program book, but were universally quick to tell us how dry it can be. One program book success, we learned, was in storytelling. Almost everyone in the room remembered that Rachmaninoff’s Second Symphony “should have never happened,” as one person said, “…it took a lot of gumption to write it.” We recognized the notes for that particular piece were largely focused on the narrative of Rachmaninoff’s life and that his first symphony was a disaster. One participant even said, “Whoever wrote that page should write them all!” To which we replied, “He did.” The fact was that the same person wrote all the program notes for every piece on the concert, and as the conversation unfolded, we realized they want to hear the story behind each piece, NOT the music theory behind it. We’ve stopped stressing over the concert programming. We don’t have to do a movie concert, or ask if we need to do more pops, or wonder if we can get away with programming a lesser-known composer instead of Beethoven on every other concert. Not one person said, “I need a shorter concert.” Or “I don’t want to hear [insert any classical composer name here].” They do want to learn about all that though, and we as an industry don’t cater to that very well. As such, we have doubled down on our program book. We have already been in a transition over the last year and a half to make our book and the notes in it more accessible, and we have one of the greatest musical scholars who writes those notes; we’re now going to focus that writing on the juiciest parts of the stories behind the music (of which there are plenty of behind-the-scenes and salacious stories to tell in classical music!). Lastly, we just completed a big push for diversity in the application pool for our composer-in-residence program, which will be its own topic in another blog post, and ideas for diversifying the audience through our marketing plans are in the still-want-to-do list at the end. If you’re like us and totally geeking out over all the ways we can honestly listen to and act on the ideas from this audience segment we must grow, here’s the remainder of our to-do list. Include pricing info on acquisition campaigns. We have gone back and forth internally on the right way to talk about price. On one hand, what we offer is not a cheap form of entertainment — as any arts administrator knows, ticket sales cover less than half of what it takes to produce a concert. And at the California Symphony we are staunch believers in the idea that people pay for what they value. Even the discussion group brought up (on their own, without any prompting) the idea that they’ll all shell out big bucks for Taylor Swift. So price alone is never an isolated issue; it’s all about the perceived value one is receiving in exchange for that price. What we did find interesting was the comment of, “I’m more likely to go to three $25 performances than I am one $75 or $100 performance.” Many others chimed in with agreement to that statement. So we’re trying to work through listing a starting price of $25 or thereabouts, or better promoting small package deals such as “Buy 3 concerts for $99.” In probing the group for thoughts on listing a price on marketing materials, we learned not to list the starting price if it’s in the $40s — that’s just too high and will not grab their attention, but in fact cause them to mentally move on as something not worth their consideration. Include the running time on the program page of the program book. 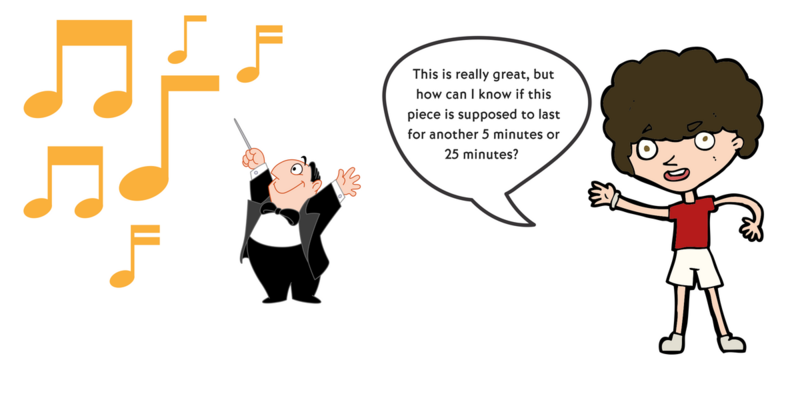 Approximate timing of each piece is ok, as is approximate intermission length. While regular symphony goers know that just about every concert is usually a predictable formula of ~10 minute overture, ~25 min concerto, intermission, ~45–60 min symphony, we realized new attendees have no idea. And why should they? In their quest to be informed and educated listeners, we can assist by including this info and helping them set their listening expectations. For next season (and beyond) — the title of the concert matters; make it catchy and helpful at the same time. This goes back to comments we heard about participants wanting to know what made each concert special. Just calling it “Opening Night” helped nothing, except to further exacerbate the stress about what to wear! Add something additional to the experience. 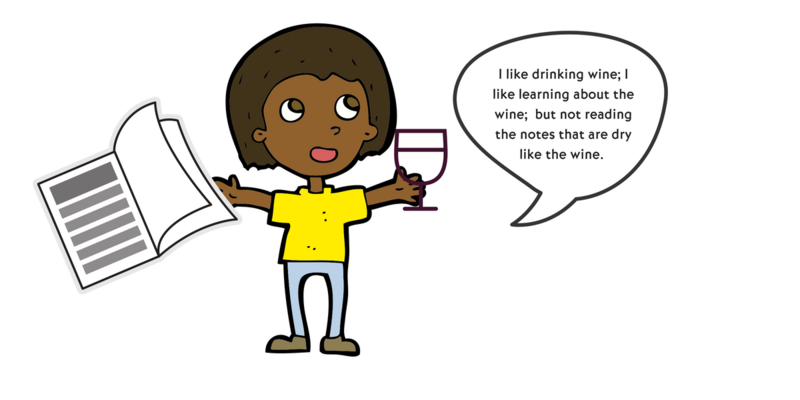 Participants want a full evening experience and want social interaction. They don’t necessarily want to spend $200 to do that, but they do want to meet other people interested in the same thing. We asked the group if they would be willing to pay for this added experience, and the group said yes, and that it can be simple: “It’s fine to just say ‘We’re having drinks before hand here’ or ‘Afterwards we’re all going here.’” This matches research released about a year ago at the national level from the League of American Orchestras and Oliver Wyman stating that new audiences are indeed craving these types of supplemental activities and are willing to pay for them. Fix seat selection so it’s easy and awesome. Could we do this like LiveNation where it connects to your Facebook account and you can see if your friends have purchased tickets and where they are sitting? Or you know how on TripAdvisor, it says next to every place or attraction which of your friends had been there? Wouldn’t it be awesome if we could have this on ticket pages before the sales path, so people could see on the homepage, for example, that many of their friends had been to the Symphony before? And then on specific concert listings it would show if any friends were going to that particular event. Seat selection needs to be on par with any major sporting event or high-end entertainment experience; we are charging too much for our tickets to deliver anything less. Make changing domains seamless. People can tell, period. Add sound clips on every piece possible. Prospective buyers want it and need it; they simply do not recognize the piece by title or composer alone. More info on each piece in advance: hover-over pop-ups or any way to deliver this information. What if we could implement a feature where each concert listing had a hover-over pop up of the Wikipedia summary (rather than our quick fix of directing people away from the website) — and call out that it’s Wikipedia too so people feel familiar with the source of the information (in other words, it’s not like program notes, it’s just Wikipedia which people use all the time, so there’s a comfort and trust level). Event calendar is important — they look for this and want it to be user friendly and obvious. Concert suggestions — “You might also like” feature. Targeted marketing to different races. In the same way we target specific messages to acquisition versus repeat buyers versus donors, or target family ads versus the annual gala, we should do the same for different cultures and races if we truly care about attracting diverse audiences. For example, for our upcoming performance with Rita Moreno narrating Peter & the Wolf with the orchestra, we are running ads targeting families (“fun for the whole family; puppet making in the lobby”), targeting new attendees (“it’s the perfect introduction to the symphony because you learn about the different instruments”), and targeting pop culture aficionados (“Rita Moreno is only one of 12 Emmy-Grammy-Oscar-Tony winners”). We could easily run a campaign to Latino audiences, for example, using the same ad as the pop culture group even; it’s just that we’re intentionally showing that message to people who look like her and might be interested in this performance if we spend some of marketing dollars making them aware of it. Every performance must be great. While we said that the program itself is not really a problem we need to solve, whether a large or small organization, we do need to be cognizant that every performance needs to be good, “epic” even, as one participant articulated. We can never dial it in, as performers or as administrators. New attendees — heck, all attendees we’d venture to say — deeply want a full experience where they learn, feel inspired, and feel un-intimidated about it. As professional, top quality arts organizations, we need to deliver this every time. So there you have it: an hour and twenty minute discussion which produced for the California Symphony 11 full typed pages of notes, 4 pages of direct action items, and this blog post we’re sharing with the world as promised. Oh, and tens of thousands of dollars saved over hiring a consultancy to tell us all these same things. We hope you enjoyed it, we hope you will share it, and we definitely hope that as a field, we will take more seriously and act on the feedback we’re hearing from the new audiences we so desperately need. UPDATE: Two years after this article, the next round of changes and results were published. Aubrey Bergauer defies trends, and then makes her own. In a time when many arts organizations are finding it more and more difficult to meet rising ticket, subscription, and fundraising goals, Bergauer has dramatically increased earned and contributed revenue at organizations ranging from Seattle Opera to the Bumbershoot Music & Arts Festival to the California Symphony. Her focus on not just engaging — but retaining — new audiences grew Seattle Opera’s BRAVO! Club (for audience members in their 20’s and 30’s) to the largest group of its kind nationwide, led the Bumbershoot Festival to achieve an unprecedented 43% increase in revenue, and propelled the California Symphony to expand its audience by 70% and quadruple the size of the donor base. A graduate of Rice University with degrees in Music Performance and Business, for the last 15 years Bergauer has used music to make the world around her better, through programs that champion social justice and equality, through marketing and audience development tactics on the forefront of trends and technology, and through proving and sharing what works in the rapidly changing landscape of funding, philanthropy, and consumer behavior. If ideas are a dime a dozen, what separates Bergauer is her experience and record of execution and impact at institutions of all sizes. Praised for her leadership which “points the way to a new style of audience outreach,” (Wall Street Journal) and which drove the California Symphony to become “the most forward-looking music organization around” (Mercury News), Bergauer’s ability to strategically and holistically examine and advance every facet of the organization, instilling and achieving common goals and vision across what are usually siloed marketing, development, and artistic departments, is creating a transformational change in the audience, in the office, on the stage, in the community, and is changing the narrative for the classical music industry. Working to change the narrative for orchestras. Executive Director of the California Symphony.